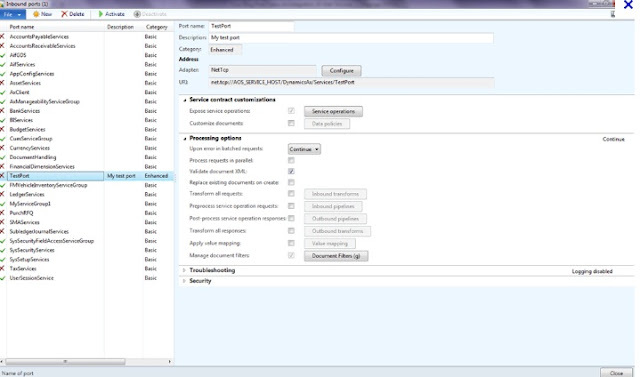 I have been asked a lot about what's new in AX 2012 for services. I always try to explain my customers in a graphical way so they can see the differences between AX 2009 and 2012. In this port I would like to point out the main improvements that Microsoft has made to AX 2012 services. In addition, please keep reading my blog this week as I will post about creating services in AX 2012 and how to consume then from C#. 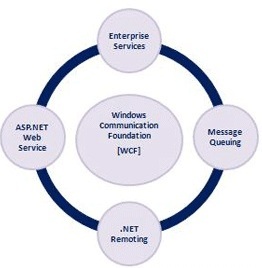 I also will post about the specific architecture of AX 2012 services and how it leverage the .NET framework. In a nutshell, I believe that the improvements to services and AIF in AX 2012, are allowing us to easily create and deploy services. I also think that these improvements are helping AX align with industry standards for web services. So what are the changes that AX 2012 introduces? Now, it is really fair to say that the improvements to the services framework resulted in significant changes in functionality, configuration, database schema, and document schema (XSDs), and II strongly believe that they have helped simplify the setup tremendously. It is important to point out that as developers/architects we are going to have to really understand the new integration features. Please see below. o Support for non-XML file formats: This means any file (boy .. this is good). We just need to create a .NET DLL to convert the files into a structure readable for the services. o Out-of-the box integration templates: Microsoft has created 90 out-of-the-box services. In AX 2009, they only had around 50 (if I'm not mistaken). To finish this post I would like to describe the 3 services types that are supported in AX 2012.
o Improved document service wizard. It is clear by now that AX 2012 aligns itself more with the .NET vision of creating services, in the sense that classes are marked with attributes that define service contracts, data contracts, and data members. o Service contracts describe the methods that you want exposed to the end-user. o Data contracts declare the data structure that an end-user must comply with, to exchange data with your service. o Data members are the individual fields that comprise your data contract. o Data contracts are typical Microsoft Dynamics AX classes decorated with the [DataContractAttribute] attribute. o Data members inside the class must be decorated with the [DataMemberAttribute] attribute. o Labels, menus, tables, extended data types, data types, enums, queries, web menus, information parts, and services. o The metadata service should be used when we want to return information about the structures in Microsoft Dynamics AX to a client application. For example, if we wanted to return information about a table such as what indexes exist on that table, you can use the metadata service. o Static query: A query that is already defined in the AOT under the Queries node. o User-defined query: A query that is defined by using the QueryMetadata class which is found in the metadata service. o Dynamic query: A query that is defined in an X++ class that extends the AifQueryBuilder class. All query logic is contained in the query builder class. o User Session service: We can use this so that a client can read configuration properties for the current user like configured language, default company and default currency. That's all for this post, and remember to come back to read about how to create a service and a more details description on AX 2012 services architecture. Thanks for reading my blog and your comment. I really appreciate it. Yes! This week I'll dive into services and publish some really cool stuff. Have a great day, and thanks a lot! error CS0008: Unexpected error reading metadata from file 'c:\Program Files\Microsoft Dynamics AX\60\Server\AX2012Standard\bin\XppIL\Dynamics.Ax.Application.dll' -- 'Index not found.'" Can u help me in this. I have the same problem. Could you solve this problem ? This is very nice and informative blog thanks for sharing this informationare Service Contracts fully insured to provide your belongings the extra cushion that they might need during the transit and giving you the peace of mind that your valuable possessions are in good hands.